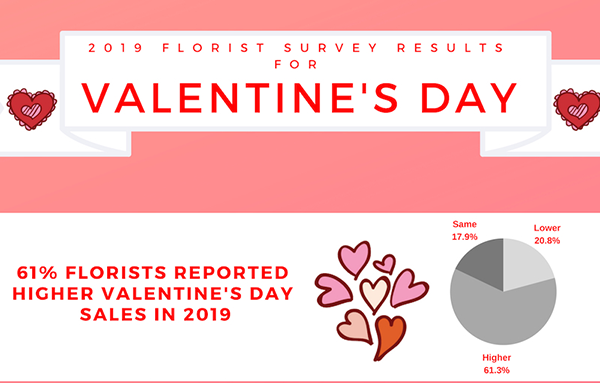 The 2019 Florist Valentine’s Day Survey Results Are In! A big thank you to everyone who participated in our annual Valentine’s Day survey. Once again we received a strong response from our readers and members. Results were based on the 347 retail surveyed by Floranext between February 15th through February 17th. Were 2019 Valentine’s Day Sales Better Than Last Year? Were Valentine’s Day In-Store Retail sales greater than last year? Aside From Red Roses, What Were Your Top-Selling Products This Valentine’s Day? Did You Sell Short Stemmed Roses? How Many Extra Temporary Drivers Did You Hire This Valentine’s Season? How Many Extra Temporary Shop Staff Did You Hire This Valentine’s Season? Did You Use/Rent Delivery Vehicles / Trucks This Valentine’s Holiday? 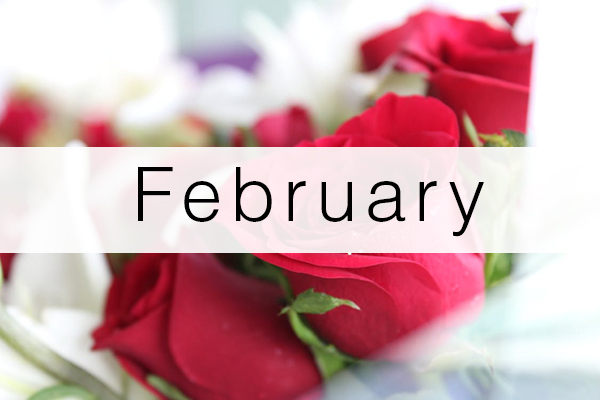 When Did Your Floral Business Start Receiving Valentine’s Day Orders? What, If Anything, Would You Do Differently Next Valentine’s Day? Florists, was this Valentine’s season successful and resulted in more sales? What would you consider to implement that next year? Do you have any feedback on your 2019 Valentine’s Day sales season? 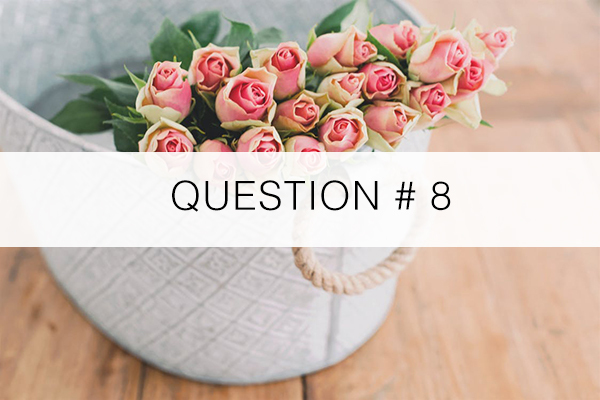 Your fellow florists would love to hear about it—please feel free to share in the comment section below. In this age of technology, florists need to step up their design game to stand out from the competition. 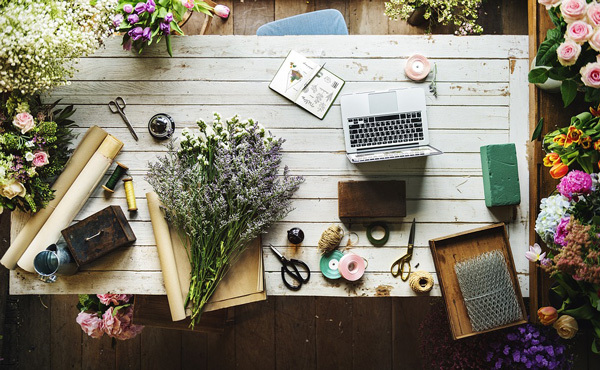 Below are some design resources for florists to help you brand your business. As a florist, you have a good idea of what makes a beautiful floral arrangement, and how to communicate with types of flowers and their placement. The next step is to achieve awareness of your floral brand. You need to look different, striking, and eye-catching to rake in these customers just like your floral arrangements. The question now is, how? There are many options for graphic design out there, and fortunately he great thing about them is that you can go about it in many different ways, from DIY (Doing It Yourself) to hiring professionals to design your shop’s look. 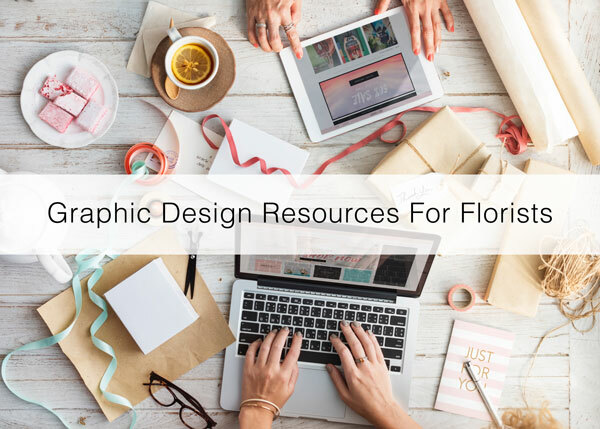 Here is a guide – a set of design resources for florists. You should understand that doing the design yourself means more than just thinking of the design. You also need to know the technical skills required in using the tools and software needed to make the design. Luckily, these tools are getting easier to learn and use. The upside of these sites is that they provide templates from which you can start building upon. There’s a huge array of choices available from their catalog, each designed for specific purposes and with modifiable text and/or images. These websites also provide extra graphics assets readily at your disposal. With a theme as flowers, you are sure to have a template or two ready to be edited! The downside of these is that you have limited control over the assets; most of these websites do not have the full breadth and robust tools that something like Photoshop has. With a badly done design, this can be a disaster. However, you can do most of the work that you want to be done on these sites. Also, free members and guests might need to attribute the design to the website, with some watermark that you don’t want to have. These websites are great for simple work that can be done with a template, and they do it really well. These websites usually offer these services in memberships, likely in two tiers, a free one and a premium one. Needless to say, free members get limited access to templates and assets, while premium members can access their entire library and even ask for professional help in the website. If you are confident with your editing skills, you probably wouldn’t be here. 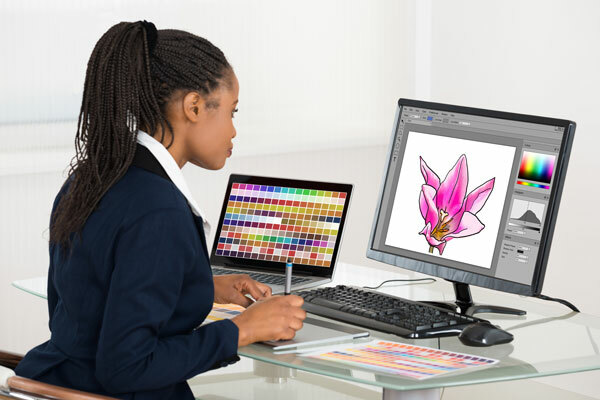 However, if you are willing to expand your skill set, you can take a swing at learning Photoshop or Illustrator (a similar program, used to open most assets from design sites). You can actually get decent work done after a few YouTube tutorials or so. Of course, Starting from scratch is a monumental task. You can take a look at several graphic design sites like Freepik and Creative Market and see some templates that you can modify. Graphical assets like icons are also readily available in these sites. You can download these files and modify them in the program, making it into the design you want. This can be the most taxing option available, because of the nature of these programs that are aimed at professionals. Plus, just like the maker websites, you will need a premium membership to access all their assets. This option is certainly not for quick jobs, but if you want to really do it yourself, then you can just make it yourself. In all honesty, we don’t have the luxury of time to actually do the design ourselves. Plus, the design can easily go horribly wrong in the hands of inexperienced users. Hiring professionals for graphic design services can be quite the number in your financial account, but for the sake of exposure and gaining customers, this can be a worthy exchange. The easiest way to hire professionals is to go to a freelance website and scroll from the long list of freelancers willing to do your bidding in a heartbeat’s notice. Upwork and Fiverr have a healthy population of freelance graphic designers that would jump at your job posting. Behance and Dribbble also have designer portfolios, though are harder to navigate. The positive thing about hiring freelance graphic designers is that the price can be relatively cheap, and you can state that they do not hold any rights to the work done. However, revisions with freelancers are usually also paid, unless stated otherwise beforehand. You need to talk with your freelancer before getting the job done. The first thing to look for in a freelancer is their portfolio. Freelancers usually have them posted in their profile, and you can also ask for samples during the interview phase. This helps you identify the right freelance graphic designer whose style that you prefer, although most professional designers should be able to do what you want to be done. Because freelancers work in contracts, hiring them is great for designing quick things like posters for an upcoming promo. Turnaround times are also good because the competition in the market is rather tight. This is as professional as professional design can get. These teams offer packaged deals in graphic design, like getting a logo, poster templates, and business cards done for one payment. These deals are also usually very flexible, like letting you order just a logo, or letterheads and business cards. They also allow revisions of the design, in case you didn’t like the first designs. Out of all the options presented, this one is the one that you can get the most professional designs from. With design teams, one person may be doing the design, but then passed on to another for quality checking in order to maintain a standard set by the team internally. Well-established teams also have great customer support, in order to create a positive reputation around themselves. Having a design team make your creative works also makes any design to be done, with little to no effort at your side. Of course, this convenience may come at a high price. Design teams usually have a dedicated website, and you can easily scroll their portfolio to see if they are a great fit to your job. They are great for having work done about your brand, and they can produce design materials like templates that you can use for the future. Plus, you hold all rights of the designs, so you need not to worry about copyright. What do you need to be designed? For a field as varied and subjectively beautiful as design, you need to clearly delineate your requirements and express what you want to see in your design. Find inspiration from the design work of other places. You can also do a rough sketch and present it to them. The idea here is that you explicitly told them of what you expect from them; this helps build a clear understanding of your end-goals. We hope our how-to guide on floral design resources was useful – there are lots of tools now to design it yourself or hire a professional. But more than ever, for the floral industry branding and design are at the heart of a businesses’ success! 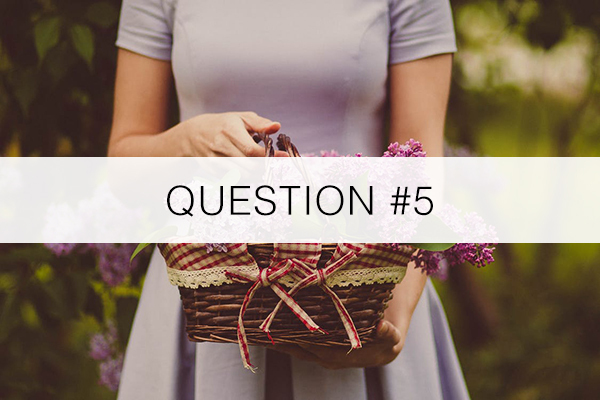 Florists, what are some ways you use graphic design in your business and what options do you use? Please post your comments below! 5 Easy Ways To Drive Up Summer Flower Sales! Tackling fresh, new and innovated techniques for your flower shop could actually keep flowers sales stable and increase revenue during the summer months. For some florists, the summer months can be dreadfully slow with decreased flower sales. Accepting the fact that customers just won’t buy flowers during these months is a big mistake! The floral industry does have many peaks and perks, all seasons offer many advantages to build your flower business and gather new potentially long term buying customers. In this blog, let’s discuss 5 easy ways to keep your flower sales sizzling hot all summer long. Everyone loves a deal, besides that did you know that there is an actual psychology that comes into play when offering coupons and promos. Big brand companies understand this too well. They have made it a practice of mixing up coupons and promos to boost their retail sales. Markdowns: Applies to both in-store and online. 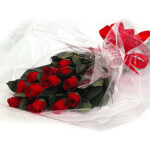 Try reducing prices on a specific category in your floral store like roses, hand-tied or even gifts, if you carry them. Save A Bundle: This offer may seem as if it doesn’t apply to the floral business, however it indeed does. Offer savings on buy one get half off, this could apply to flowers with additional purchase at a discounted price. Free Offers: Wow, this one is counterproductive, we are trying to increase sales here. Well, “Free Offers” actually resinate with customers more than any other deal (of course no surprise there). So how about offering an item free with purchase. Flowerage Sale: Flowerage sale is held only in store, generally items are placed outside if possible at a steep discount. These flower sales are done mostly during high traffic days such as weekends. Did You Know: Most appealing to customers is items that are marked 50% off. The reason for this is it requires very little math and customers feel like that are getting a much better deal. The important thing to remember here is that selling something in which you may not normally sell is perfectly OK and also a very smart business tactic. Big brand stores do it all the time, they sell what is in demand. You may not have many loose flower sales but you can increase profits by displaying some creative outdoor planters during the summer months. High-End Porch/Patio Floral Planters: These are so appealing, especially if displayed outside where each passersby can see them. 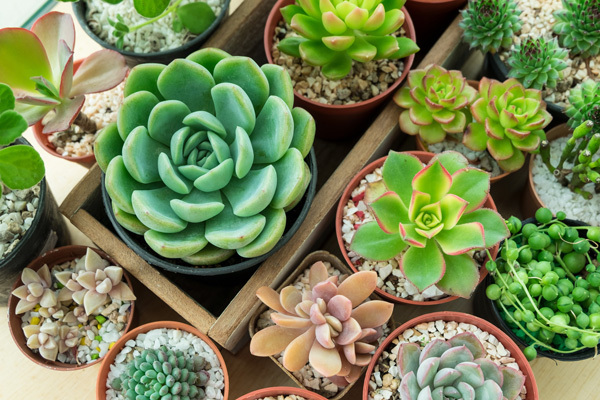 Try incorporating succulents and plants in your floral design, this is an attractive way to allure customers to your flower shop and make purchases. Sell Hanging Outdoor Planters: If you have not seen these yet, then you are in for a treat. Customers love these and these can be marked up at a great price. Go ahead add some plants and display them outside if possible. Outdoor Decor: Outdoor decor can be citronella candles, lanterns, outdoor pillows and much more. This is a great way to maximize your sales. Florists, I’m sure you have heard of floral workshops and floral parties. Although a little marketing is required, they truly do increase floral profits substantially and is a great way to increase brand visibility. Host A Floral Party: For adults and kids alike these parties can bring in anywhere from $45.00 to $120.00 per person. Great way for kids to enjoy their birthday or a way for bridesmaids to get together, the possibilities are endless with floral parties. 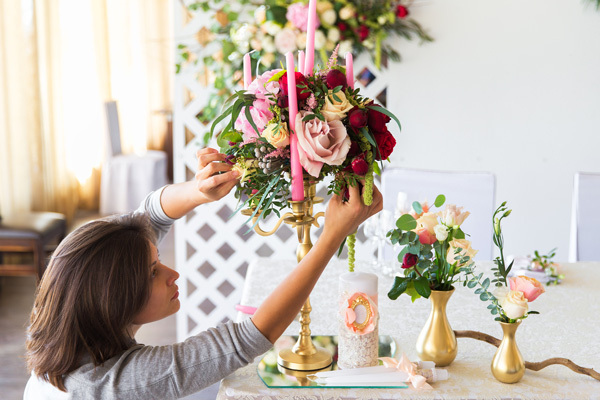 Floral Workshop: Unlike floral parties where your attendees are more casual, a floral workshop is more structured as you are teaching floral arranging. Classes can range from beginner to master and can be purchased for the whole season. We get it #2 is not bringing in sales to your flower business, however, just as important as bringing in sales is practicing good seasonal habits on ways to cut costs. Consider Summer Hours: We are certainly big advocates of having a business schedule and sticking to it, however, there are exceptions. Opening your shop does cost money so consider opening an hour later or closing an hour earlier with shorter weekend hours if you are slow in the summer months. This will also save you on payroll. Order What You Need: During slower months you may be able to get way with just ordering what is necessary and purchasing specialty items as needed. Try also cutting your flower order in half. If your floral supplier is close there are things that can be purchased quickly when needed. Don’t Be Wasteful: We have mentioned this so many times, and we understand no-one is intently wasteful. Please consider that all items in your flower shop cost money, wasting paper, picks, and pins add up, please be mindful of this and make sure your employees are too. 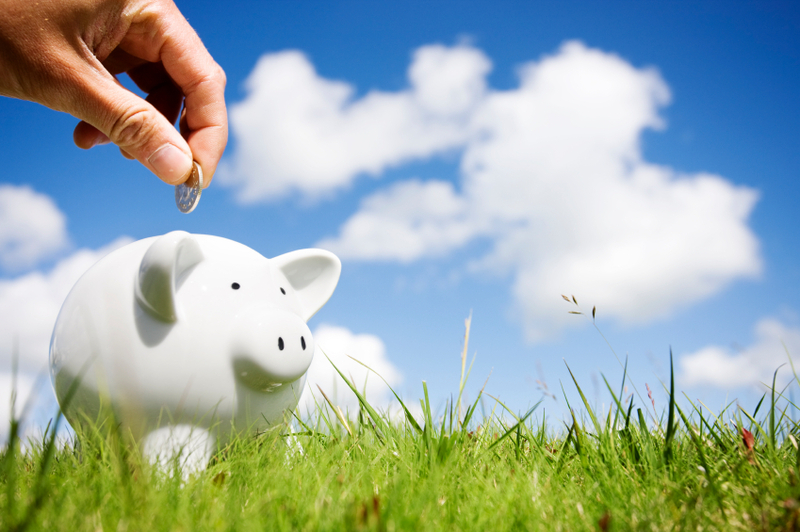 Review Your Bills: Take a look at all your bills including utility. See how you can cut costs, a perfect example is a flower shop owner who was paying for cable tv yet had no tv in his shop. Cutting that off his bill saved him over $80.00 per month. There is also no shame in asking certain service providers for what deals and offers they have to save you money. Slower months in the flower shop allow you to have extra time to market your flower business. Reaching out to potential clients for recommendations and clients who will book standings orders is a great way to bring in added revenue to your floral business. Funeral Homes: If you have not done so already you should reach out to the Funeral Home directors in your area or slightly outside your area, to see if they will be willing to recommend your floral services and post a link to your website on their website. Local Businesses/Churches: Doctor’s offices, churches, restaurants, hair salons and many more businesses in your local area have the potential to order flowers from you on a weekly basis. Talk to them about delivering weekly to their businesses at a great price. Standing orders are a great way to keep money always flowing into your flower shop. Wedding Venues: Go to wedding venues and discuss working with them on their referrals. Make sure to have your professional pamphlet on the wedding services your provide. Tip: Create a folder which includes a pamphlet of your floral business and the best practice is to meet with them in person. Make sure to have different folders with specific content for each client. 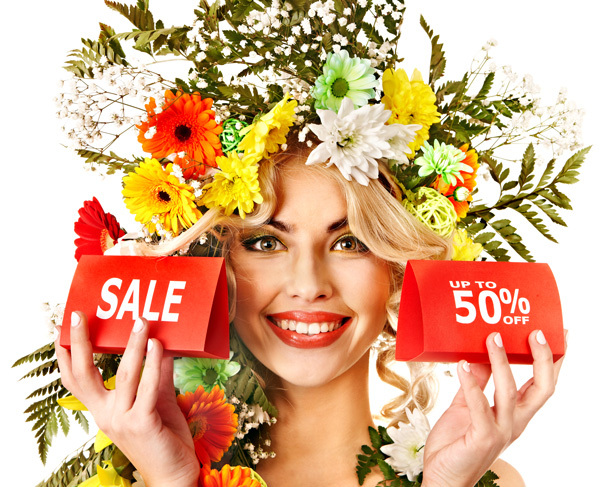 Florists do you have a tip for driving up summer sales? Please share your feedback in the comment section below. If you have any questions please post below as well! 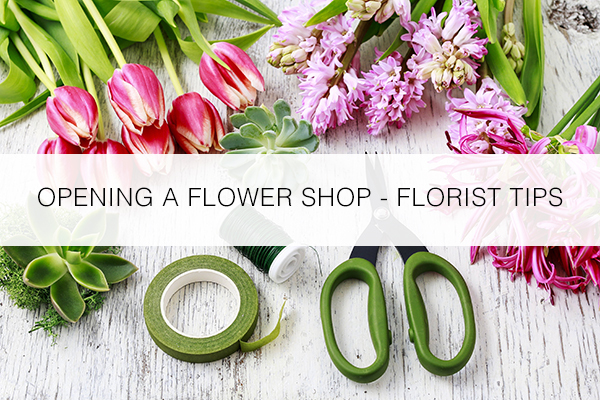 Opening a flower shop is a great career opportunity. You get to be creative and work with flowers all day, right? Well, yes. However, there are so many other facets when it comes to opening a flower shop business. The floral industry does require much more than just designing flowers. Remember, you are selling, designing, delivering, marketing and much more! We asked florist’s all around the world to share their most crucial advice/tips on opening a flower business. If you are thinking or just starting a floral business this will help you get answers to some of your questions. 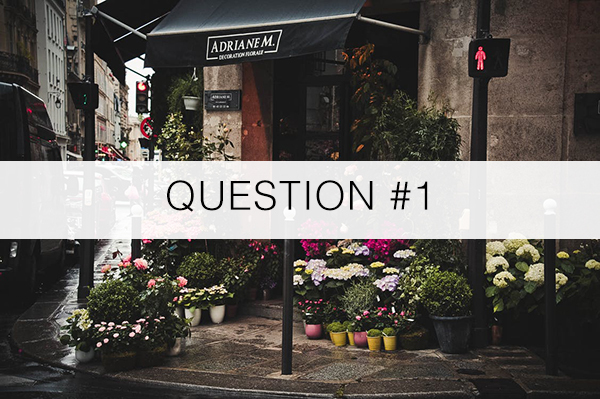 Which is most important when opening a flower shop? 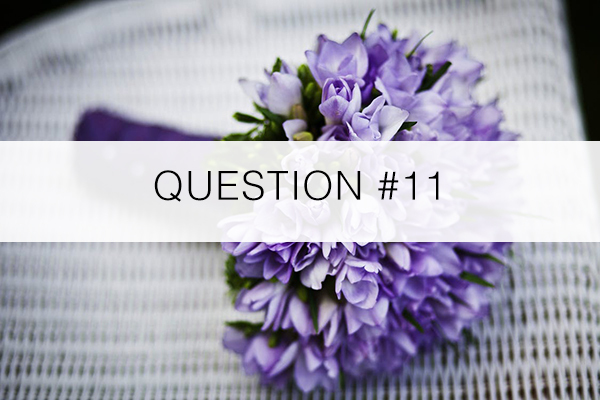 With an overwhelming 111%, Florists have stated that location is key when opening a flower shop. So remember Location, Location, Location. What would you say surprised you when you opened your flower shop? 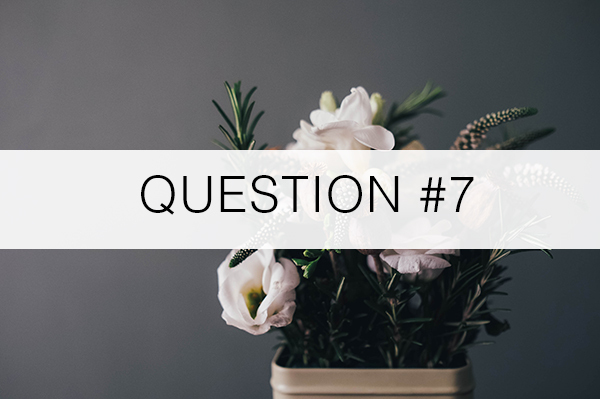 Long hours was the #1 answer by most florist’s for this question, however, there were many great responses that we believe are important to keep in mind when opening a floral business. How much money do you say is needed to start your own brick and mortar flower business? Other was the #1 answer for this question with the winning budget amount $25,000. 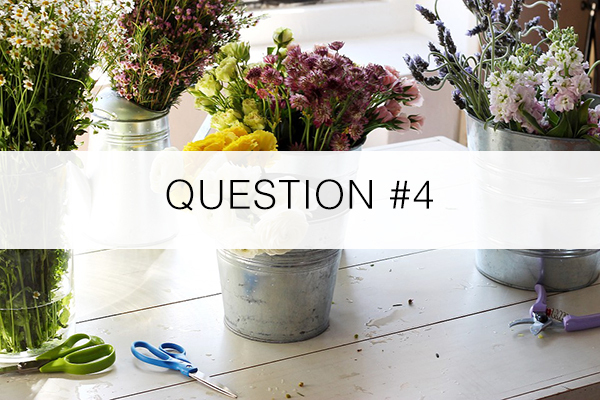 If you could open your flower shop today, what is the one thing you would do differently? Do not join a wire service was the #1 answer if florists could do one thing differently. Trailing behind and almost taking over the number one sport was “Choose a better location,” with having an eCommerce website in third. What is the best part of opening a flower shop? Florists have chosen Being Your Own Boss as the best part of opening a flower shop. Though percentages were very close, coming in at 2nd place is Customer Interaction. 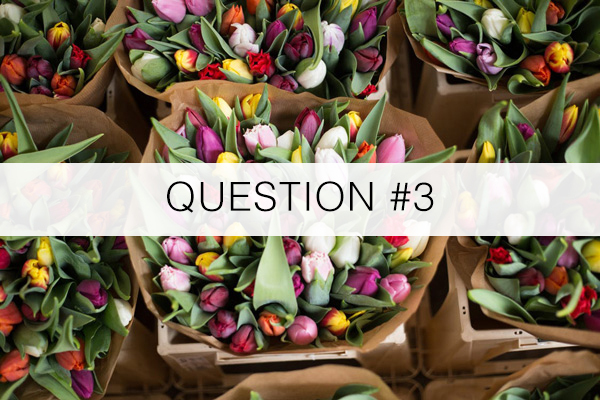 What would be your most valuable tip to someone who wants to open a flower shop? Working in a flower shop was the most valuable tip given to someone who wants to open a flower shop. This gives new prospects the understanding and functionality of how a flower shop is operated. What is the worst part of owning a flower shop? Long hours took the top with florists on the worst part of owning a flower shop. The long hours and the demanding workload is something each florist will experience when opening and running a flower shop. Would you recommend someone join a floral wire service when opening a flower shop? Tell us yes or no and why. 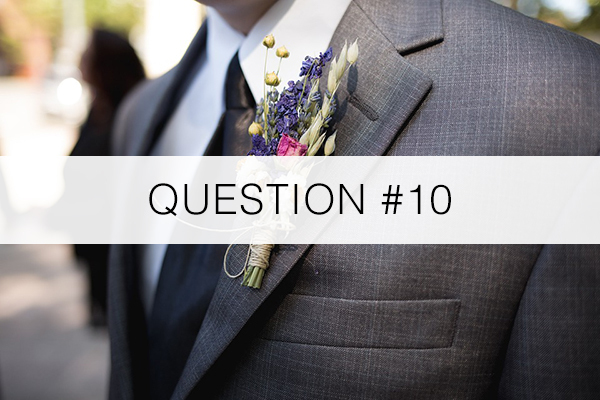 Overwhelmingly the #1 answer to this question was no, there was a tremendous response to this question with many great florist advice. According to design, what makes the most revenue? Sympathy is the biggest revenue generator for florists with everyday arrangements coming in second. 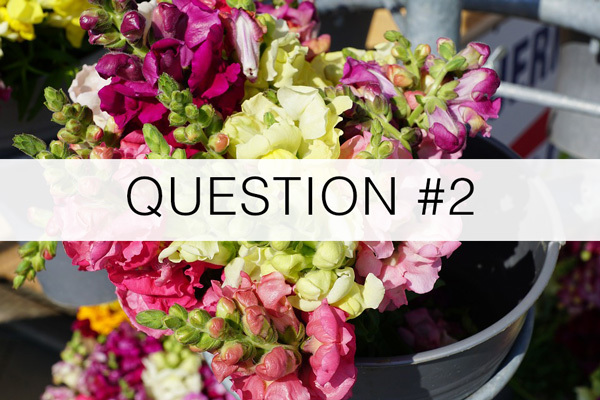 What are the standard flowers, filler, and greens you order on a weekly basis for your flower shop? What popular florist holiday makes your business the most revenue? 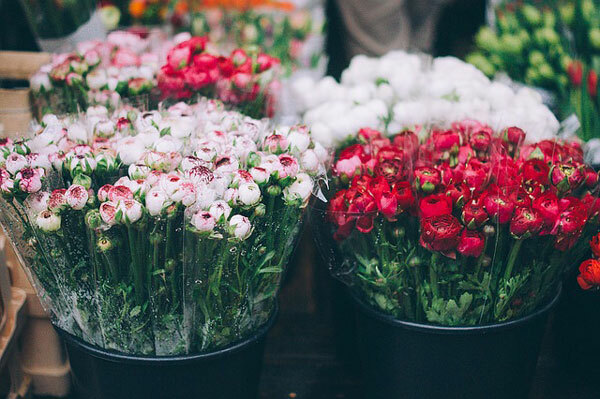 Step back Valentine’s Day, With a whopping 86% Mother’s Day won the top spot with the most revenue made for a flower shop. 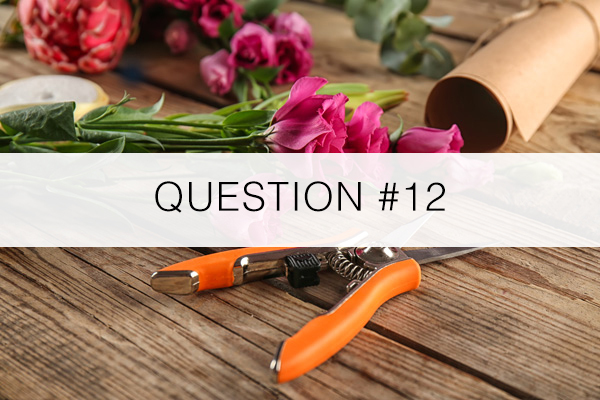 What are the must have florist tools when opening a flower shop? A knife was #1 tool recommended as a must have when opening a flower shop, with Secateurs taking 2nd place. For those of you who are not familiar with Secateurs, they are pruning clippers. Good scissors were also very close to 2nd place. Florist’s we are very appreciative of your participation in our surveys. We had an overwhelming response to “tips on opening a flower shop survey”. 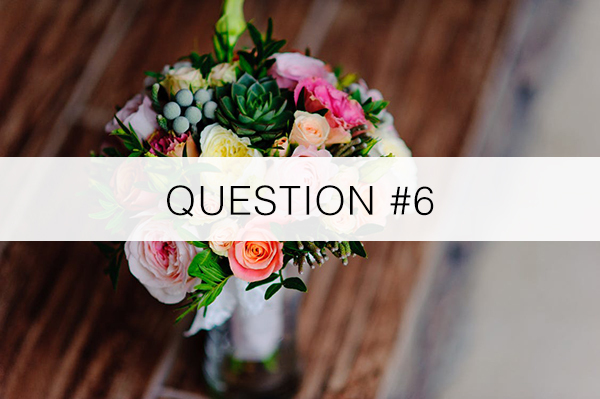 We plan to continue surveys as your expert tips and advice is so helpful to our readers and for new and upcoming florists who are considering or opening a flower shop. Please share any feedback you may have on Opening A Flower Shop in our comment section below. The floral industry, a fast-paced business, that’s ahead of seasons & holidays. To most florist’s, planning the year is second nature, however, it always helps to have a set plan to organize everyone’s duties. 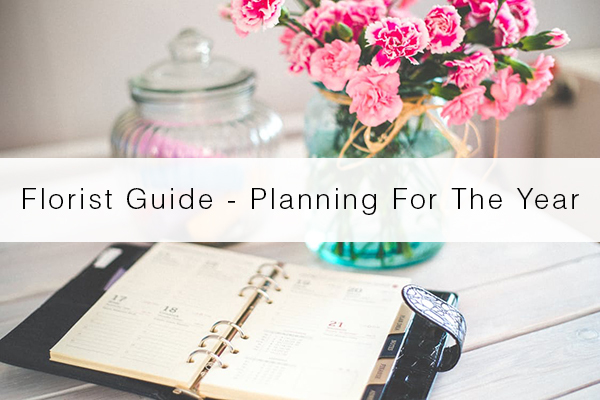 In this blog, we present an easy guide for all your floral yearly planning. 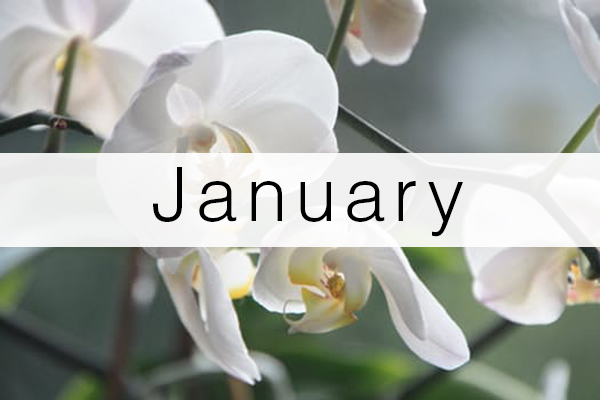 January can be a slower month in the floral industry, however, there are loads to do. 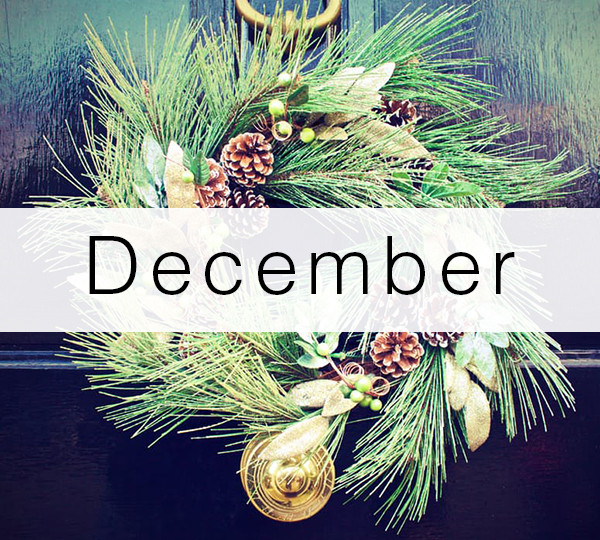 This is a great month to focus on your flower shops organization and marketing planning. Start a blog: This is a great way to increase your SEO, a simple how to blog will do wonders for your search engine visibility and keep the buzz going on your social media. Tip: “How to” blogs are the most searched, so anything with tips and tricks will be well received. Review your last years Valentine’s Sales: Start ordering your flowers for Valentine’s day. Ordering early equals savings, so make sure to order enough, and everything you need. Do not forget to order your add-ons, these are money makers, plush, chocolate, candy, and anything you wish to sell. Tip: If this is your first Valentine’s day, do not over order, this may be tricky, but set up a set amount you will order and see how your sales go. You can always get more in a pinch. Decorate Store & website for Valentines: Start the 2nd week of January, make a spectacular Valentines display in your store and also make sure your eCommerce store is ready for the early bird sales. Sign up for wedding sites: If you are already signed up great, if not, now is a good time to sign up for wedding sites to promote your wedding floral business. Here are few you should consider, The Knot, Wedding Wire, My Wedding. Buckle down for this short fast paced month! Although slow to start, it is a good idea to have everything in order before the rush. Employee Management: Go over all employee scheduling and duties in the first week of February. Make sure you have hired all your new holiday help and that everyone understands their tasks for Valentine’s day. Tip: Good time to also rent extra delivery vans if needed. Promotions: Offer pre-Valentine’s day delivery promotions. The idea here is to spread the wealth of this Valentine’s day and not be constricted to just delivering on February 14. Offer generous promotions on your flower shop website, post on social media and of course make sure they expire a few days before Valentines. Take care of yourself: During this busy month, it is important to rest and take time for yourself. Encourage your employees to do the same and wear comfortable clothes, comfy shoes, and eat please, it’s amazing how many florists do not eat when they are busy. Being organized will alleviate most of the Valentines day pressure, so make sure to be well nourished and comfortable. Tip: Start a flower shop with a holiday diary. We know sounds corny, however it’s amazing what can be learned from holidays by just writing it down. Yes, you have your gross receipts, but how about mishaps, or comical happenings that are not noted, these are all so important and good read before the holidays. 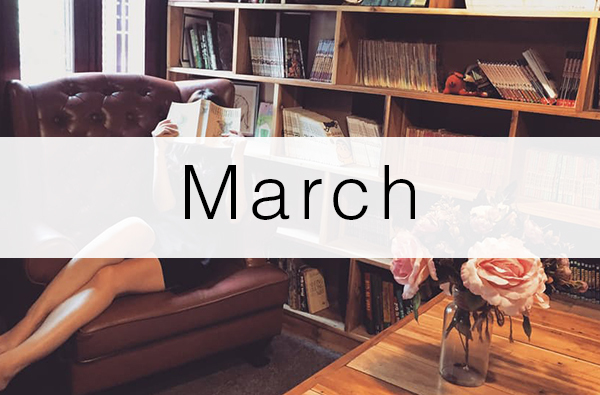 March can be the most rewarding month in the floral industry, it gives florist time to relax and get ready for new beginnings with the coming of spring. Finance Review: With the first quarter almost through, now is a good time to get a grasp on your profit and loss for January and February. Add notes about what you may do differently next year, a good thing if you have started the flower shop diary. Spring Cleaning: The #1 season that is most anticipated by customers is spring, especially if you live in the colder weathered areas, it is never too early to start bringing out this season. Start refreshing your flower shop and get ready for spring with beautiful decor and showcasing. 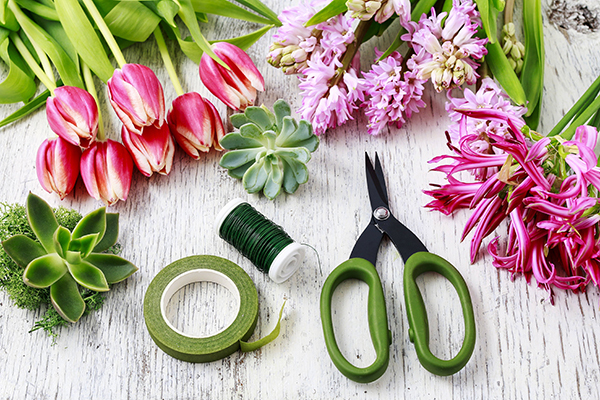 March Sales Madness: As florists, we know march can be hit or miss with sales, so start a campaign and sell your products customers love, try a Free with purchase or half-off sales. make this a yearly ritual if this works for your business. Order your Easter flowers & plants! It’s always good to get ahead, start an order for your easter flowers and plants. Again ordering early equals savings from your suppliers and you also have the best selections. Ready or not Mother’s Day will be here before you know it! Take April as a month to prepare for the #1 florist holiday. Order Mother’s Flowers & Supplies: Make sure to order those beautiful containers and Mother’s day flowers with your supplier. Good time to order is early April. Showcase your plants: If you are selling plants, now is a good time to showcase your flowering plants, this creates such a welcoming inviting atmosphere for customers. If you can move some outdoors, this is great for some curb appeal. Promotions & Marketing: We recommend you start promoting after Easter to generate some early bird sales for Mother’s day. Post on your social media and website, this will help boost your SEO. A great marketing tip is to offer a giveaway, maybe a gift basket, or free flowers for a few months, and have customers fill out their information when they make a purchase. Employee Management: It’s that time again to make sure to hire the extra help you will need for Mother’s Day. Make sure all current employees understand their schedule and duties. 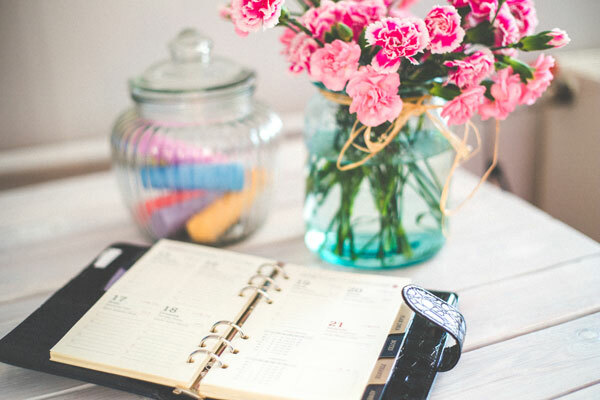 Tip: If you are new to the floral industry, then a good to know tip is that Mother’s Day is the #1 floral business holiday, customers order throughout the week rather than one day. Be prepared with help, lots of flowers, and beautiful containers. 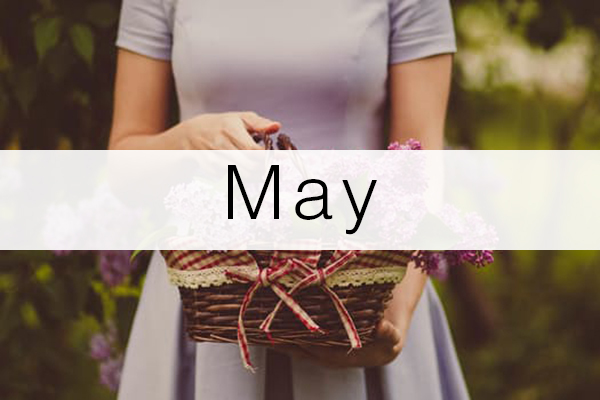 May, what a great month for the floral industry! With one of the top selling holidays, this month starts off slow and quickly picks up in a super-charged way, so always good to be ready. Take a look around: Do a quick glance, does your flower shop look appealing to you? Make sure you use a critical eye and take it all in, the sound and if possible even the way it smells. Customers are drawn to a beautiful environment, it has proven to make them feel relaxed and comfortable, which will help increase those sales! Employee training: The first week of May is a good time to discuss employee customer service, the cross-selling, and up-selling of products. Make sure your employees are polite and offer customers upgrades and add-ons with their purchase. This is an easy way to almost triple your profits. Offer prom promotions: Proms are a way sure to make sales. Build relationships with future long time patrons. Offer a referral discount. Examine your finances: After the Mother’s day rush now is a good time to sit down and see whether or not you made a profit, be sure to calculate all costs and include any spoilage or waste. Keep notes on what you would do different next year. 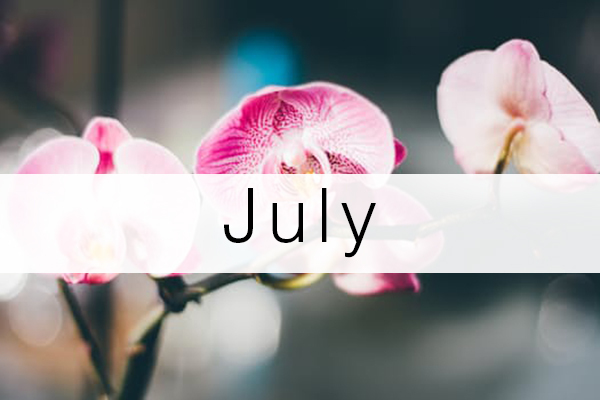 Oh June, what a lovely month! For some, the commencement of summer and a chance to organize all your floral business needs. June is the most popular month for weddings with September and October in a close 2nd. Florists are pleasantly surprised on how busy June can get with weddings and graduations. Refresh your floral website: Update your flower shop for some summer specials, make sure you’re wedding galleries are up to date with great content and keywords. Offer promotions: Teacher gifts and graduation promotions are a great way to bring traffic into your flower shop. Be sure to post these on your floral website and social media. Order retail products: This is a great time to order some fresh new stock to get customers to flock to your flower shop. There is nothing you cannot sell, so think outside the box, What is popular? Candles (certain brand), skin care, plush, home decor, makeup, even unique greeting cards. Brand your flower shop! 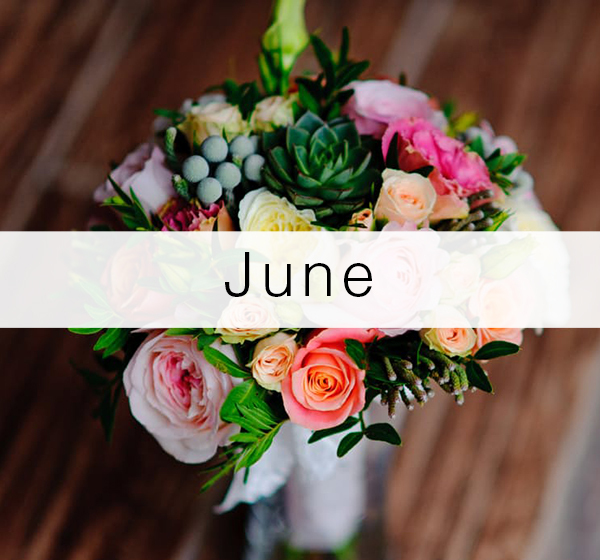 We like to call July, “a month of organization.” This month can be on the slower side, so it’s very important to get your flower shop in order with beautiful displays and heavy on the marketing. Write a blog: We know this is listed in other months above, however, July can be a slower month. If you have time to write a How To Blog, or anything that inspires you, think about things you search for, read, and watch as your SEO sky-rockets through the roof. Social media: Take some time to focus and revamping your social media communities. Add content and images and don’t forget the hashtags #, Again all this for top placement in Social Media. Tidy up your flower shop: By tidy up we mean clean, scrub, wash, organize, label, etc. Freshen up your floral space! Browse your floral supply stores: July is a great month to look at products in your floral supply store, you can find great deals on holiday items, it is a great time to stock up. 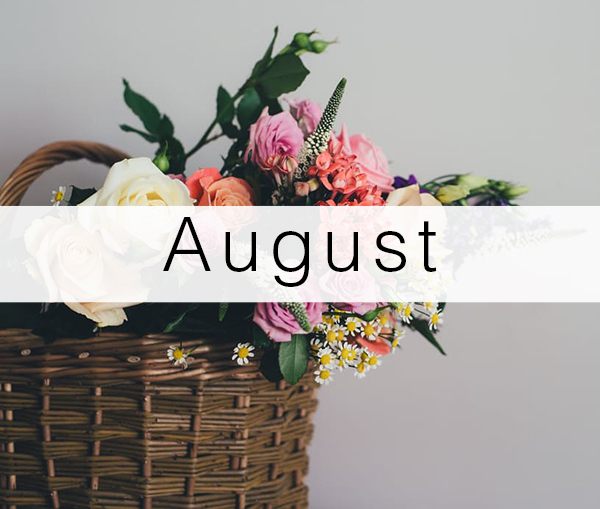 August can be one of the slowest months in the floral industry. we ask that if you are slow, to try implementing new ways to market in your flower shop. Newsletter: Email, mail, or both! Send out a newsletter to your customers offering special savings. Start a workshop or floral party! 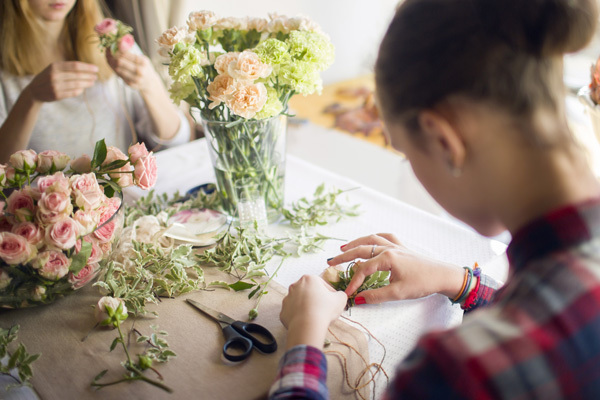 Get busy with hosting a floral workshop, kids floral birthday parties, and much more. This can lead to great profits and new patrons at your flower shop. Start preparing for fall! Get your flower shop ready for the most popular season, create beautiful displays, order new inventory and go for it! We recommend doing this the second to the last week of August. Don’t forget your fall marketing! Flowers sales in September pick up rapidly towards the middle of the month. Customers are now back to their normal routines with the kids back school and weddings start to pick up. Order fall flowers and Plants: Stock up on your seasonal flowers & plants. Revamp your floral website: Add the season touch to your floral website with fresh new content and images. Use proper keywords, specific to the floral industry for SEO advantage. Keep up with your blog: Now that you are pro, how about writing a seasonal blog or fall wedding blog? We cannot say this enough, blogs are so powerful with SEO. Note: Canadian florists, September is a good time start ordering flowers and supplies for Thanksgiving. 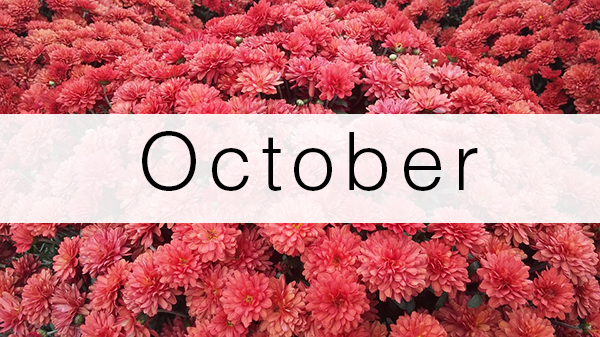 October offers some great sales in the flower shop business, now is a good time to start orders on any extra stock supplies and get them at a discount for future use. Prepare for the holidays: The holidays are just around the corner, shop around for the best deals on all your flowers, and supplies for the holidays. Also, shop around for holiday products to sell at your shop. Employee Management: Go over your employee scheduling and see if you will need extra help for the holiday season. Open House: Host a holiday open house showing off your latest products and floral designs. 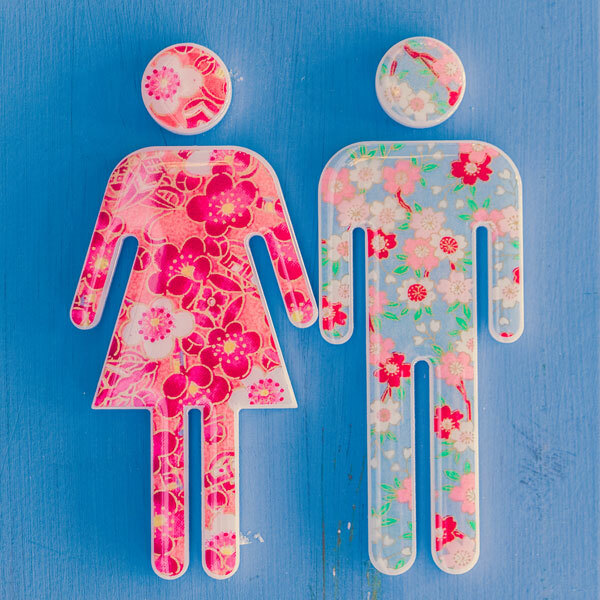 Floral Expo: Take some time to visit a flower expo in your area, take your employees, this is a good way to stay current with the new trends, and first dibs on new products. Note: October is a very popular wedding month with most wedding proposals in December. Think of launching a Wedding Package special on your website during this month. 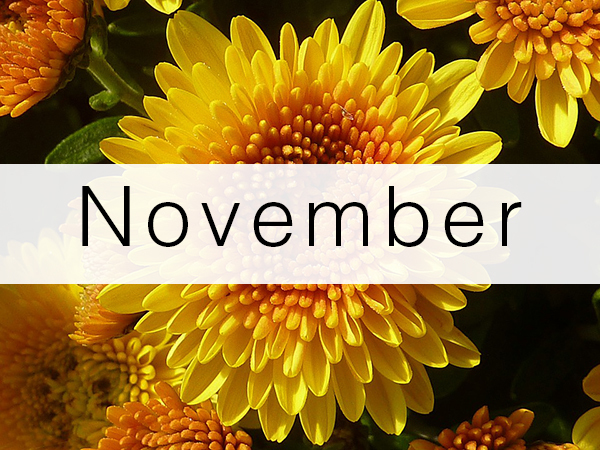 Tis the season for flower sales, November all in all is a great month for flower sales. Customers are getting into the giving mood. Market the holidays! Add promotions to your floral website and do not forget about your social media! Start greening: Green those Thanksgiving centerpieces ahead of time, add any taper or candles and put in the cooler for a quick way to add flowers as sales role in for thanksgiving. Decorate for the holidays: Time for Christmas cheer, create eye-appealing displays and make sure your flower shop is festive. If you can make a beautiful Christmas window display or storefront display to bring in curious shoppers. Offer incentives: Offer black Friday or Small business Saturday deals, “buy ones get ones” are great offers, even if it’s just a couple hours that day. Having a great deal with a cut off time is a good way of creating hype and traffic into your flower shop. Many florists around the world enjoy huge flower sales during the Christmas holiday. Although in some parts of the United States, florists have seen a decline in their floral sales during Christmas, this month is quickly picking up and still trailing as the third best month for floral retail sales. Employee management: Set exceptions for your employees on selling upgrades and add-ons for each customer’s order. Review scheduling and days you are closed. Christmas Greens: Mentioned above, it is also a good idea to green your arrangements ahead of time for Christmas. Take time to do this early before the holiday rush. Offer Discounts: Sometimes offering a discount too early for Christmas can become forgetful to customers who may not be ready. Post Christmas discounts during this month and make sure to have an expiration time or date. Great discounts are gifts for parents, teachers, corporate and the person, who has everything. Flower still remain the perfect gift. Tip: Do not forget to market to businesses. holiday parties are huge, so offer incentives to have them book with you for their flower needs. These are just some examples and a helpful guide for florists to plan out their year. 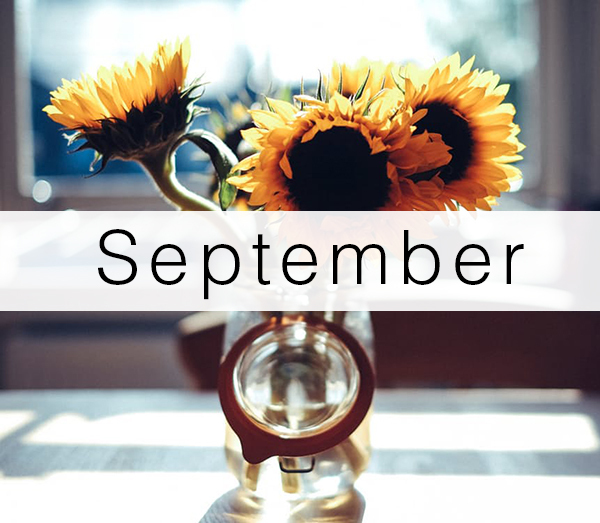 Florists do you have any tips or must do’s for a specific month? Please share in the comments below with our readers. Is your floral supplies included in your profit margin? 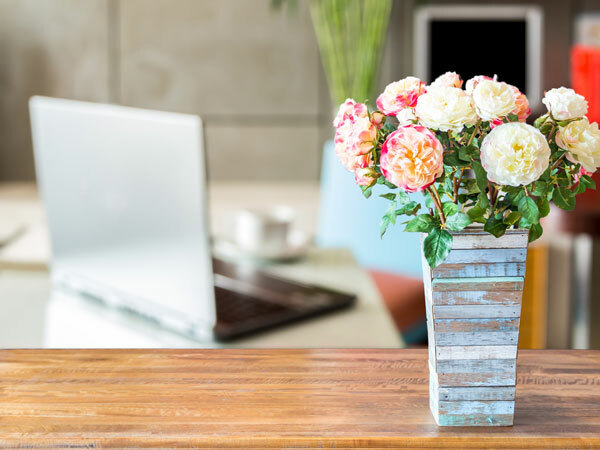 Keeping an eye on flowers and floral supply deals and including supplies into your profit margin is a great way to cover costs and increase your daily sales. Here are some great ways to be smart and buy smart in the floral industry. The profit margin is the difference between what you pay the wholesaler and the retail price of the product. It is important to include labor in the profit margin along with vases, wire, tape, extra ribbon and so on. Setting a consistent profit margin to your floral pricing allows you to be successful in owning a flower shop. This is the percentage added on to your wholesale cost which determines the selling price for your customers. For example, if you have a 100% markup on a product with a wholesale cost of $10, you’re selling price would be $20.00. Tip: the percentage of the selling price is solely up to you depending on location and competitors prices. General rule of thumb is not to go under 40%. Buying flowers on auction will indeed give you more for your money, Sometimes half of your local floral wholesale prices. You must buy in bulk and works great for the busier seasons. Order supplies and flowers that sell, Reference your weekly product category and weekly sales report and order accordingly. We all love lavish high end flowers, understanding your market and customer base will help in determining whether these flowers are sellers or not. Tip: pay your wholesalers on time, paying on time or at time of delivery allows the wholesaler to give you a discount. Create a special relationship with your wholesaler representative, let him or her know what you want to pay and what is affordable. Set a standard weekly delivery for price breaks. Tip: do not settle for the first wholesalers price, shop around, there are many flower wholesalers, call them all and ask for their standard price and compare. 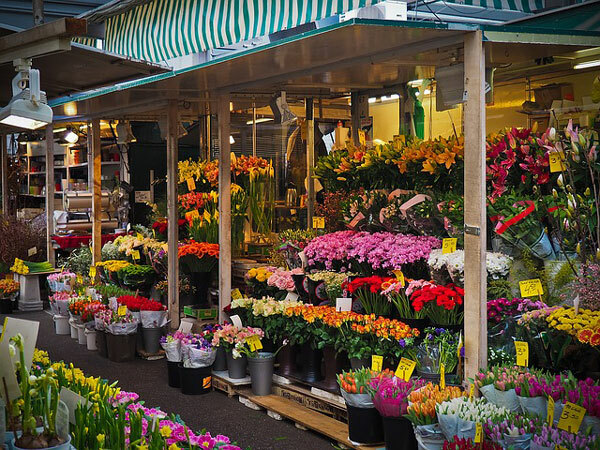 With your busy schedule, try and make a trip to the flower market and purchase you’re weekly flowers. As they say “the early bird gets the worm,” getting top pick at fraction of the cost will save you money in the long run. We do not expect you to purchase all your floral supplies here, however, sometimes you can come across great finds all for a $1.00 a piece. Check out your local dollar store for great deals on vases and unique containers. Tip: Some dollar stores have closeout prices on their websites and can ship to your local store, saving you more money. Your flower purchases are a investment for your business, please prep your flowers correctly to maximize their beauty and life span. Do not be wasteful or allow your employees to be wasteful. 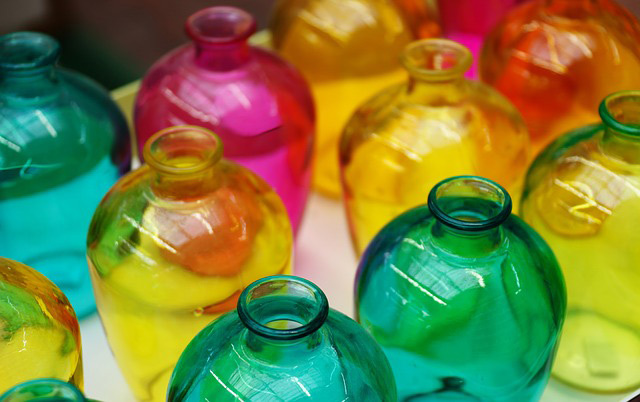 Being wasteful can be done subconsciously, it is important to account for every supply in your shop. Tip: Pay special attention to ribbon, wire, pics, paper goods, and so on. 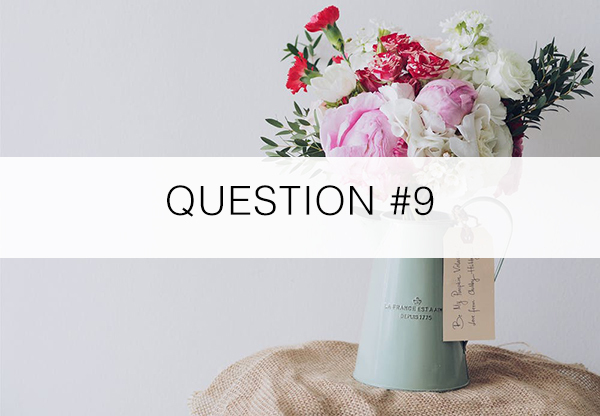 Florist do you have any cost saving ideas on buying floral supplies? Please share with our readers below. Spring is a busy time of year with Mother’s Day, Proms and Weddings but don’t miss out on promoting your shop for these smaller spring holidays to bring in more sales all through the year! It’s all about shop recognition and keeping your shop name in front of the customers so when they think flowers and gifts they think of YOU! 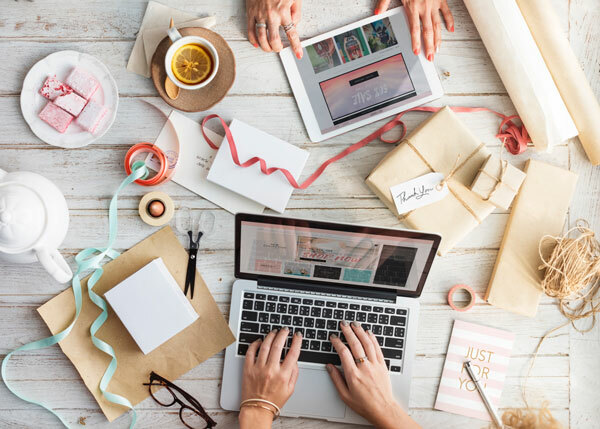 By using these promotional tips for the upcoming smaller spring holidays, you can distinguish your shop as a leader and a go-to shop for flowers and gifts throughout the year. Easter is coming up fast but there is still time to promote the holiday. 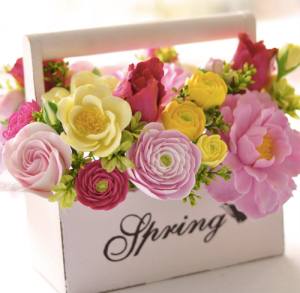 Customers are still deciding where they are going for Easter brunch; remind them the perfect hostess gift is flowers! Do something different… leave the plain Easter Lilies to the big box stores, go for interesting spring designs. 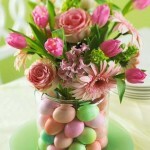 Make up mixed plants in baskets decorated with Easter ribbon, willows and other spring items like Styrofoam Easter Eggs. Make it unique and different, something that only a florist artist can do! Make a bright, show-stopping window display to help remind your foot traffic that Easter is fast approaching! Send out at least two emails highlighting your Easter selection throughout the week of Easter. Blast your selections out on social media now through Easter for all those procrastinators. Be sure to highlight your hours and how they can easily order from you. This is the perfect holiday to get with commercial accounts for year-round benefits. Don’t fret, there is still time to go after them this year! Select a few distinctive designs and planters that would work well in an office setting for both male and female associates. Then make the photos into a nice color flyer that includes your shop information, hours and location. If you have commercial accounts email addresses, send the flyer out in email form for the next few weeks. The holiday goes throughout the week so be sure to send out reminders throughout the week of the holiday. Again, lots of procrastinators! If you do not have many commercial accounts or want more, this holiday was made for you! Take the time to visit the commercial accounts around your area. You have something to talk about; making the administrators look good to their employees. Use that! Leave the flyer with your card and more information on your services that they can use all through the year. This is also something you can leave with the front desk, if the person is busy. 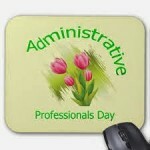 The administrator assistant will be sure to give their boss the flyer to remind them of the holiday! Before leaving the business, get the administrator’s name, phone number and email address. Also, it is good to get the assistant’s name, phone number and email address as well. When you get back to your shop, add the emails to your commercial accounts email database. You can make two lists, one for administrators and one for their assistants. Now you have the rights names to send them information during the entire year. Depending on your area, many schools are embracing this holiday as a way to bring small gifts as a thank you to their teachers. Bringing flowers is a natural! 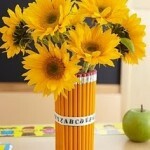 Promote a few different small bouquets or planters that a student can give their teacher. Another idea would be to work with the school’s PTA or parent association for a fundraiser for the school. Have small bouquets available for students to purchase and give some of the proceeds to the school or have the parent association collect money for each teacher and give larger bouquets or planters from the class. Have fun with it! The end of the school year is drawing near and that means the year-end chorus, band and dance recitals. Also lots and lots of graduations! The perfect time for presentation bouquets! Don’t miss out on this meaningful and profitable “holiday”. Highlight and remind parents and grandparents about giving bouquets to their students after their performance. This can be done through social media, email and in store. Again, you can work with the parent associations to make this a fund-raiser for them. It is a win-win. You give them a few examples of different flower presentations bouquets and they make up the flyer and promoted with their school parents, grandparents, families and friends. Even if the profit isn’t the best for you with the bouquets, think of the good-will and name recognition you will receive from this. All these students will be going to prom and getting married and…. 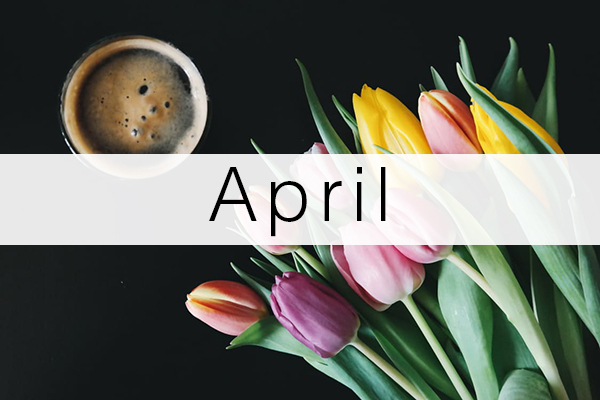 With just a bit of promotion and thought, you can make these smaller spring holidays profitable to you this spring and all year through! Floranext makes great florist software. Florist websites, floral POS, florist wedding/event proposal software, and florist technology. Let us know if you want a free demo or try our software for free here! Creating a Florist Pinterest Page – 3 Steps to Increase Sales! Looking to drive sales on your florist website? Pinterest continues to be the darling of the social media websites and with good reason – study after study shows that if you are looking for the social media avenue that will increase sales, Look to Pinterest. Looking for new ways to get more traffic into your flower shop? Look to Pinterest. 21% of the Pinterest users surveyed by Harvard Business Review said that went to the store and bought the item after pinning, repinning, or liking it, and 36% of users under 35 said they had done so. Looking to showcase your florist wedding work? Look to Pinterest. 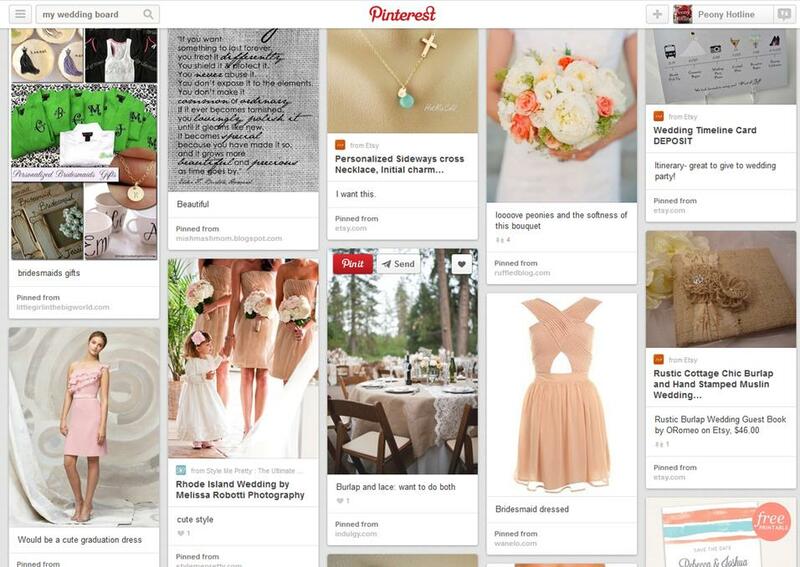 86% of all brides create their dream wedding with Pinterest boards. They design their wedding from the photos they pin and they look to Pinterest for the current trends and designs, including great florist photos. Even if you have a personal Pinterest page, similar to Facebook, you need a business page. This is another place to optimize search engines. While crawling, search engines will pick up your username (your flower shop) and information from your About section. The About section is the place to shine and describe who you are and what you do. Optimize this 200-character space with keywords that are relevant to your city and the work you do to boost your visibility in search results. For example if you are a florist in Brooklyn, make sure the term “Brooklyn Florist” is in your About section. It’s very important to utilize the same description and keywords across all your other social media profiles for consistency. All should contain your florist website, where you are located and your flower specialties. 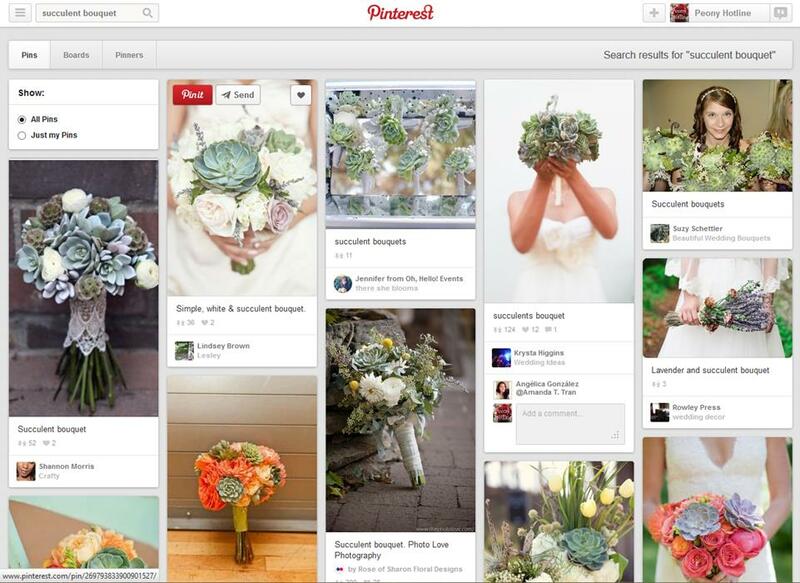 Pinboards are just sub-pages on your florist Pinterest page – for flower shops these are typically collections of your work. 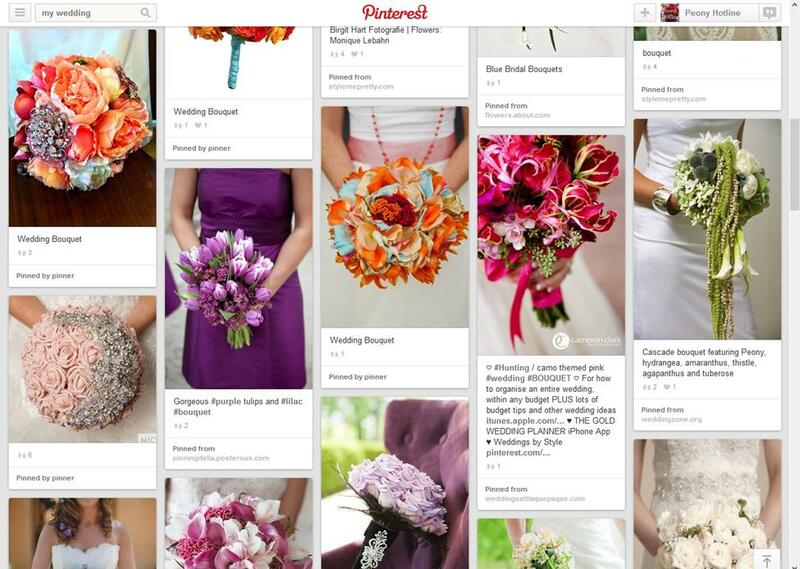 You might create a Pinboard for your wedding work, one on Christmas flowers, and another for your everyday flower photos. When you create a board make sure to use the About section and include keywords relevant to the board. Also make sure to use the maps function to locate your photos (and your business) on a map. This will help Google and other search engines to recognize your business as a leading local flower shop in your area. If you are using Google Chrome, Internet Explorer, Safari or Firefox browsers, there are Pin It buttons you can add to your browser to easily pin your florist website photos. Add this button to your browser and you can “pin” a photo to any one of your Pinboards with a few clicks. 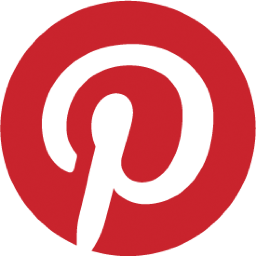 Pinterest is a great spot for backlinks – links that lead people back to your flower shop’s website. They are invaluable for SEO because search engines take them into account when measuring relevancy of your business and how they will rank you when someone uses a search engine. Each time a pin is pinned and repinned on Pinterest, it creates a backlink to the source page – which is like an additional “vote” for your florist website. The more a florist pin gets shared, the more backlinks are created. That is why you must continually pin new content from your own florist website. Yes, repinning and liking others’ photos is important from the social aspect but making sure you add your photos from your florist website is most important. With over 70 million people on Pinterest, starting with these four simple steps, you will be able to Look To Pinterest for increased sales on your florist website. Fed up with FTD? Tired of Telflora? 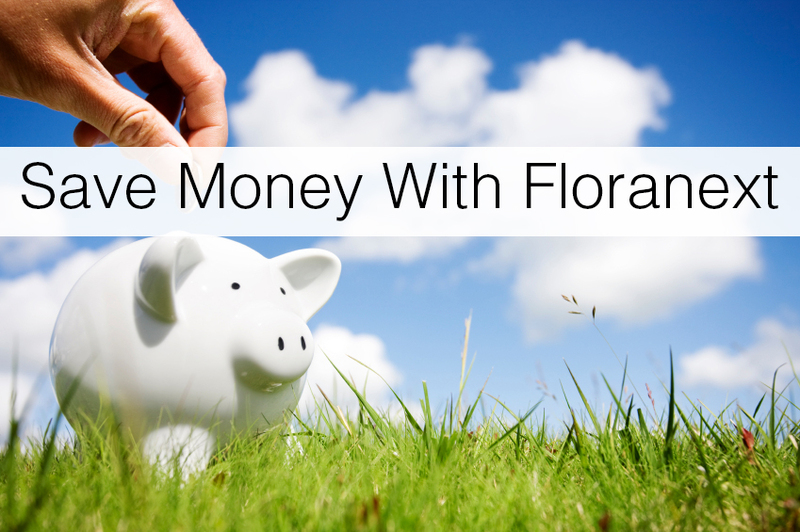 Save Money with Floranext! Floranext’s founders have been in the flower business for over 40 years, running one of the most successful florist retail enterprises in the country. We think you should be saving money on your florist website and getting more for your money! We put up with wire service technology for too long before deciding we needed to build our own florist ecommerce tools. Cost – Sky-high costs for poor service. Boring (!) – Have you noticed that every florist’s wire service site looks exactly the same?! We didn’t want to be buying florist ecommerce from two companies acting like monopolies. So we built our own ecommerce tools. And after mulling it over, we decided to share that with other florists, so that hopefully they can benefit from having a more independent ecommerce solution for their business. Take Orders Faster – Managing orders by hand now? Speed up your phone and walk-in orders faster with Floranext’s florist POS. Are you buying services from a huge corporation when you could be buying from a small business like your own, with your intersts and your businesses success in mind? Contact us for more information today!